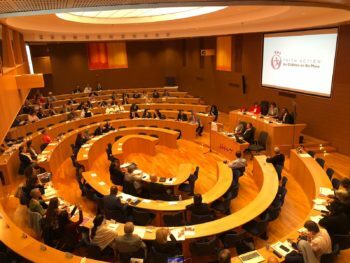 October 16, 2018 – This week a diverse group of organisations have come together for a forum at the Jesuit Curia in Rome where they will discuss how faith leaders can work together to end violence against children on the move. The issue of children on the move has never been more pressing. Between 2005 and 2015 the number of child refugees worldwide more than doubled. The forum will bring organisations together to commit to a collective action plan on how they can work together in the future to protect, nurture and support children on the move. “As faith-based organisations, we believe that we are stronger together, together we can reach the most vulnerable, and together we can have a greater impact on more children. “We hope to provide a way for organisations to partner in protecting children on the move and also include children in decision making and programme design processes.